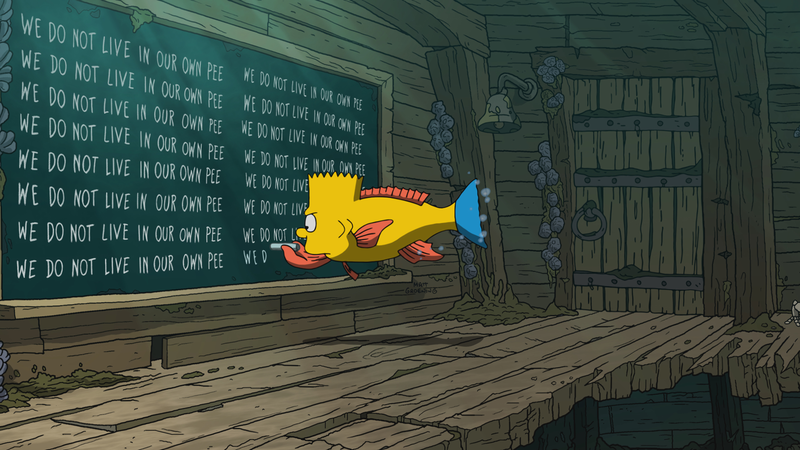 ← 624 "The Old Blue Mayor She Ain't What She Used to Be"
The whole opening sequence is remade underwater with all characters, and some extra faces like Sideshow Bob, as various species of underwater creatures. 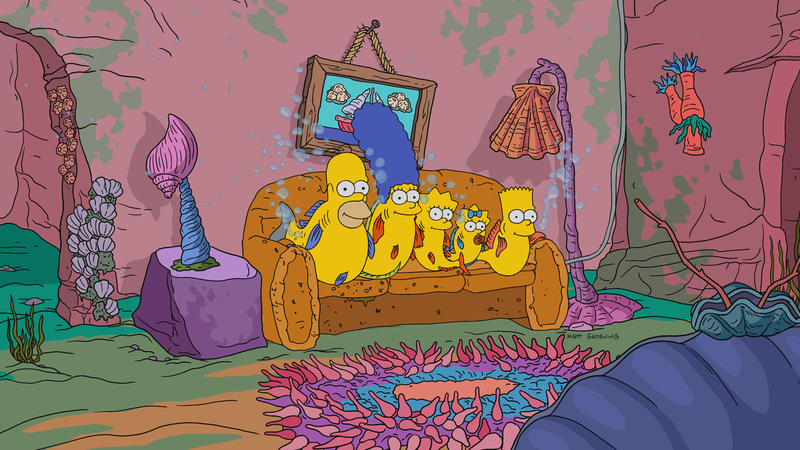 When the Shrimpson family arrives at the couch gag, they get hooked by Ned, and deposited into a capture cage. 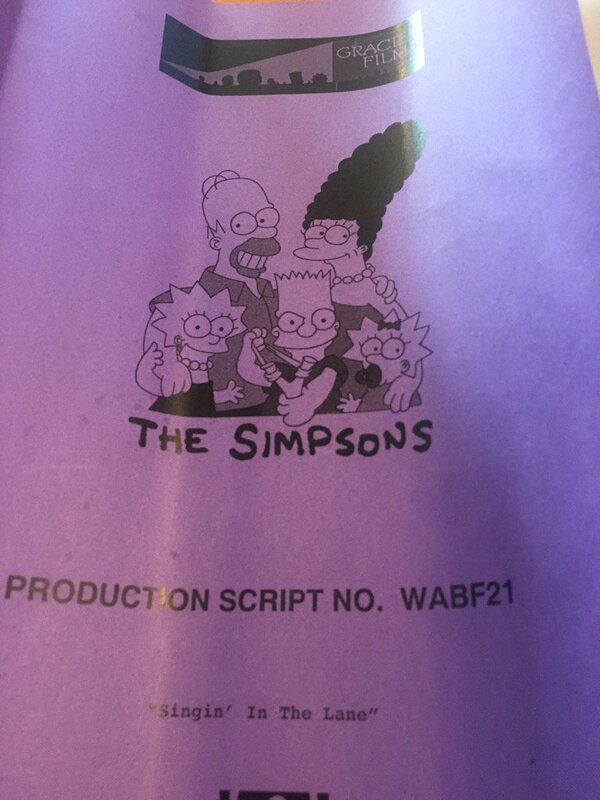 Homer says "our own home", before shrimps are revealed to be in it as well. "Singin' in the Lane" is the 7th episode of season 29. The episode aired on November 19, 2017. "Homer and the guys reunite their old bowling team to cheer up Moe, only to end up in fierce competition with a team of arrogant millionaires. Meanwhile, Lisa and Marge try to teach Bart that money isn't everything." The family is enjoying their dinner, when Mr. Burns calls Homer to invite him at the basketball joust, after trying with a really long list of people, and he accepts, wanting to bring his friends. At Moe's Tavern, Homer invites Carl, Lenny and Barney but excludes Moe, having only 4 tickets. Back at the Tavern after the game, they reform the Pin Pals, with Moe as their captain. They go bowling and do a tournament, and win, to go to the state finals in Capital City, in a fancy bowling building. Their foes, the Fund Bunch, though having lost the first round, bullies people, including Moe. 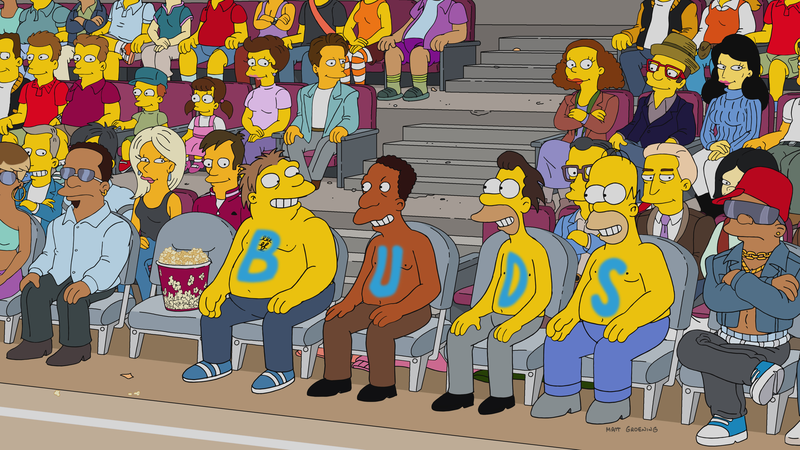 To stop them from bullying, they make a wager: if Fund Bunch win, they win the bar and Moe has to change his name, if Pin Pals win, Moe will get something only a rich guy can have, though they find out how really good the rich guys are at bowling. For revenge on the geeky guys, Lisa incites them to find the Fund Bunch's weak spot, while Bart is trying the rich life, but Marge tries to teach him that money isn't everything, with no success. 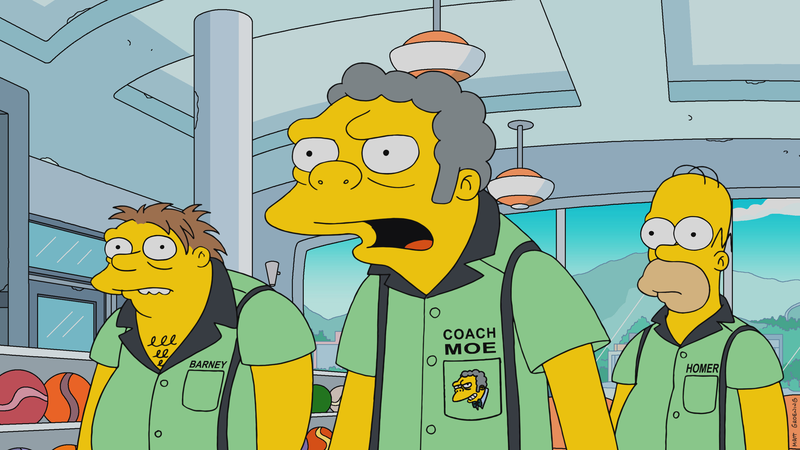 The final round is near, but Moe slips talking about Barney being bad when he's drunk, and the Fund Bunch uses that trick to make him drunk to lose the game. Lisa and the other nerds succeed on making them feel bad, and Bart and Lisa reconcile. Barney is drunk, and Homer needs to make three strikes, while Moe imagines his life starting over if he loses, in France. Moe tries to stop Homer from striking, but fails, and he has to return to his old life, rejected by his friends for being a bad coach, but back at the tavern they surprise him, saying they're still a team. Since they won, the Fund Bunch, gave them a zero-gravity plane experience as prize.